Photos show significant further movement and show, in the word of the photographer, “the entire area has dropped away from the ridge above”. It appears that the already dramatic landslip at Headon Warrren has suffered further movement, less that two week from the first photos published. Ashley Cooper was walking there today and captured three new photos. He described the first one as taken “at the ridge path”. 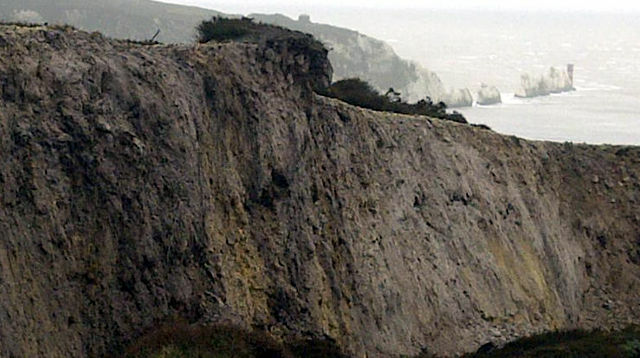 Ashley described the third photo (below) as, “A shot looking up from the undercliff area of Headon Warren, showing how the entire area has dropped away from the ridge above. There was some reassurance from Ashley, “I also took some photos from the Totland end, but the movement there is less significant, just a few inches”. 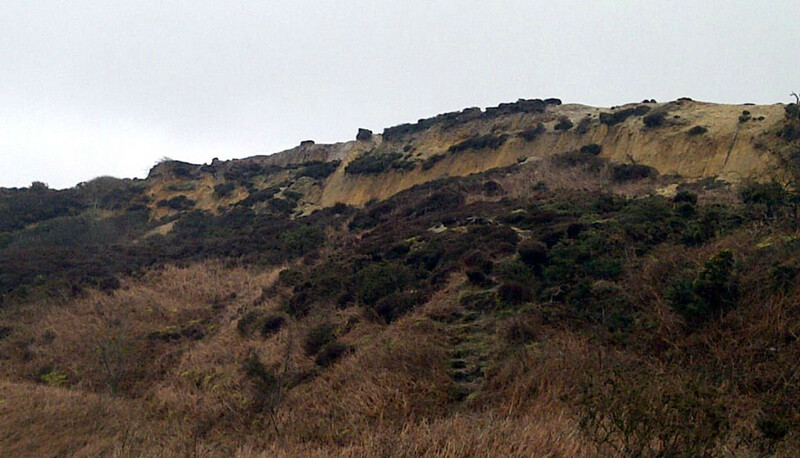 3 Comments on "Headon Warren landslip: A further six foot drop (Photos)"
This is so sad – much of my childhood was spent up here, and on Tennyson Down. 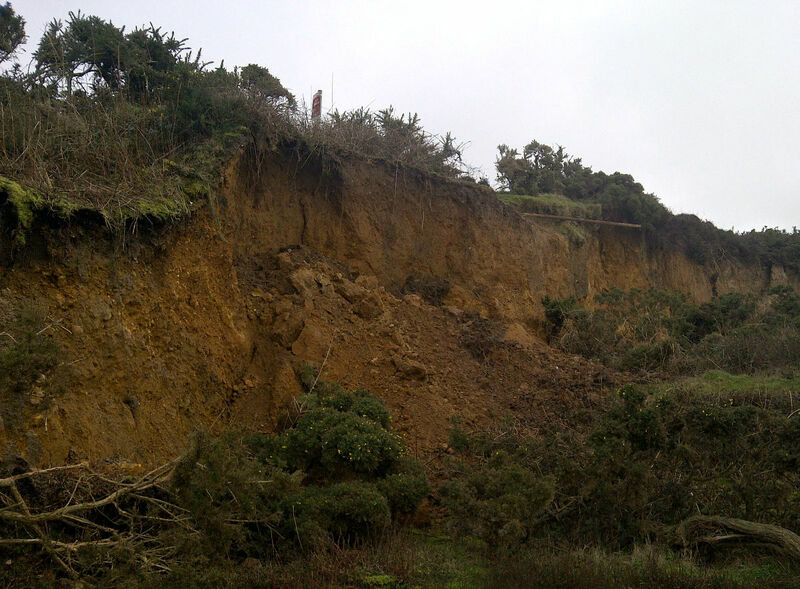 Even so – the land has been on the move for thousands of years, and will continue to shift; just a pity that we’ve let so much go by failing to defend the coastline against the elements, here and elsewhere on the island. 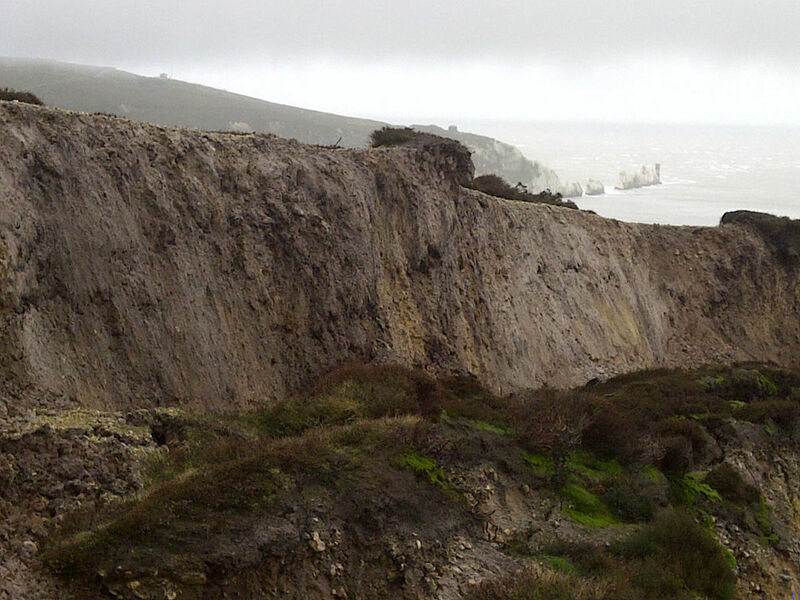 We can’t really line the whole coastline with concrete to stop this, now, can we? No, we can’t concrete everything (even if we wanted to) but we could do something to reduce our greenhouse gas emissions, so that we were less at risk from extreme weather in future.